Professor Jane Falkingham, one of the leading voices on population studies and demographic change in recent years, has been awarded an OBE (Order of the British Empire) for services to Social Science in the Queen’s Birthday Honours for 2015. Professor Falkingham is Director of the ESRC Centre for Population Change and Dean of Social, Human and Mathematical Sciences at the University of Southampton. Through a career spanning almost 30 years, her research pursues a multi-disciplinary agenda combining social policy and population studies, and spanning both developed and developing countries. Much of her work has focussed on the social policy implications of population ageing and demographic change, and what this means for the distribution of social and economic welfare. Professor Falkingham was the founding Director of the ESRC Centre for Population Change, established in January 2009. Funded by the Economic and Social Research Council it is the UK's first research centre on population change and brings together over 50 researchers based jointly at the Universities of Southampton, St Andrews, Edinburgh, Strathclyde and Stirling whilst working in partnership with the National Records of Scotland and the Office for National Statistics. The Centre’s aim is to improve understanding of the key drivers and implications of population change. As well as her work on UK population, Professor Falkingham is also involved in wide-reaching international research including projects on ageing and resilience in the slums of Nairobi, poverty and transition in Central Asia and on migration and the wellbeing of children and older people ‘left behind’ in China and South Africa. 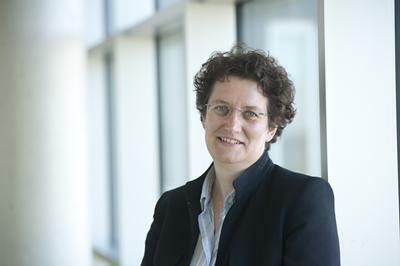 After spending the first 21 years of her academic career at the London School of Economics and Political Science, Professor Falkingham joined the University of Southampton in 2002, where she is now Dean of the Faculty of Social, Human and Mathematical Sciences. In 2013, she was appointed Vice-President of the British Society of Population Studies (BSPS). Professor Falkingham has been published through more than 150 books, journal articles and book chapters, featured in conversation and debate across the media, and supervised over 20 PhD students to successful completion.